Is the SEO Business Really 80% Scam? Within the last comment you’ll find part of the problem. Most Web-development and Web-design firms these days offer SEO services, though they really don’t understand it. Why? Because everyone else does. When clients want the full package — “I need you to develop and promote my site” — you can’t compete if you don’t offer SEO services but the guy down the street does. So you both offer SEO, though neither of you know how to do it correctly. There are also plenty of companies claiming to do “SEO work” on client sites every month, as part of a monthly package. What work? Well, it’s hard to say, as so many SEO companies blind their clients with science leaving them with no real idea of the work that’s being done…and all too often, not much work is being done. 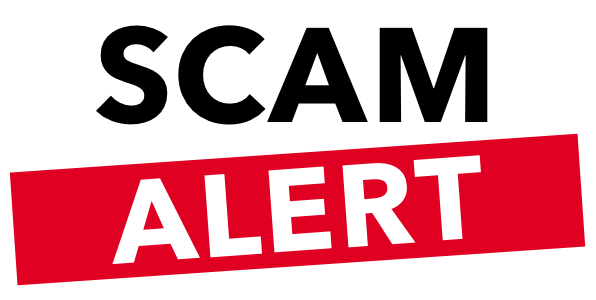 Every industry has incompetent participants, but I feel it’s valid to group these people into the “scammery” category–as a form of shorthand, you understand–simply because such a huge portion of the SEO business is made up of these people. 1. It’s a confusing business. The rules are hidden. It’s like being an engineer when the laws of physics are unknown…and they change every few weeks. 2. Thanks to #1, above, the business is full of misinformation, information that is ambiguous or no longer correct, conjecture, and outright nonsense. It’s very hard to learn a trade when a significant portion of the background information is wrong. I get to see a lot of sites that have been “optimized,” in my line of work. Clients come to me, show me their site, and say things like “well, we had it optimized, but I’m not sure if they knew what they were doing.” All too often I discover that “they” didn’t! Peter Kent has been working in online marketing since the early 1990s. He has been involved in just about every form of online marketing and advertising—Search Engine Optimization (He wrote Search Engine Optimization for Dummies), email newsletter publishing (I used to publish a 60,000-name email newsletter), banner advertising, Pay Per Click advertising (He wrote Pay Per Click Search Engine Marketing for Dummies), community marketing, online Public Relations, online press releases, various “linking” campaigns, affiliate marketing, building marketing-related Web applications, and so on. He has consulted with literally hundreds of companies, large and small, including Amazon, Zillow, and Lonely Planet, on their online marketing programs. We have multiple clients that have purchased SEO services. In many cases these were “preferred vendors”. We have empirical evidence (here and here) showing that many of these services are in fact a waste of your marketing budget. Now included with our all inclusive service, we now offer SEO selection consulting and monitoring to help you ensure you are receiving the best return on your SEO spend. So What To Do for SEO? For the above reasons, this is why we don’t offer SEO or claim to be SEO experts. There are a variety of options that you can do for your website for free. We’ll happily provide free guidance on this topic. Consider us part of your team from a technical standpoint. We help our clients navigate internet marketing.